As the name suggests, auto start generators are generators that are capable of starting automatically, based upon certain pre-set parameters. How does an Auto Start function of a generator work? One such parameter could be a signal that may be transmitted to it by an inverter whenever the battery voltage drops to a low voltage level. At this low voltage level, the generator will automatically start and will continue to run until the battery voltage reaches a certain high voltage limit. When the battery voltage reaches its pre-set high voltage limit, the generator will stop. These limits are customizable and could vary from one solar system to another. As this type of generators is capable of remote start, there is no need for any manual operation in order to start the generator. The signal, which acts as a command to the generator, could be sent in many different ways. One way, and the most economical one, is to run a hard wire from the inverter to the generator. Another way is to enable wireless communication between the inverter and generator. This method is more convenient and economical if the inverter and generator are installed quite far from each other. Generator triggers vary from manufacturer to manufacturer and from model to model. While a solar inverter may control the starting and stopping function, the generator itself needs to control its safe operation. 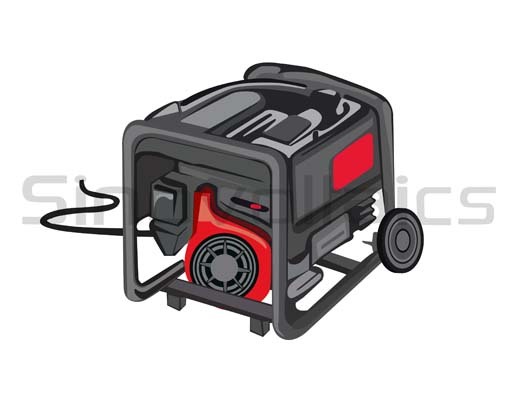 In the event of low oil level or a mechanical malfunctioning, the generator is designed to stop in a safe manner. The oil level detectors are installed inside the generator’s tank. Whenever the oil level reaches a certain minimum % of its total capacity, an alarm is triggered for low oil level (similar to the low fuel alarm in a car’s dashboard). If no corrective action is taken manually and the generator continues to burn fuel, a common safety mechanism is to finally shut down automatically when the oil level reaches a bottom % of the oil tank capacity. An auto generator is a great tool due to its remote starting and stopping capabilities. Some caution should always be exercised. Never shut off an alarm without proper investigation of the source problem. Never run the generator for extended period of time without performing proper maintenance. Hi Derek, it would be most advisable to get in touch with your local installer who could directly help you with a system matching your needs.